Watch Koro-sensei Quest! full episodes online English Dub. Synopsis: Get ready for a strange but fun-filled adventure with your favorite group of assassins. The killer class is back but this time they’ve got…magic?! In this brand new spin-off series, follow the chibis of Class 3-E as they learn swordsmanship and sorcery at Kunugigaoka Magic School. Their mission? 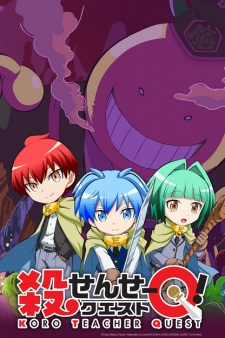 Defeat the evil Demon King Koro Sensei and face the trials and perils of their magical school!